Bingo is a fun-filled game that is loved by people of all age groups. It is the best way to spend the weekend with family and friends. This game of chance gives the players a platform where they can socialize and have a good time as well. There is a great room for healthy interaction between different kinds of individuals and this can sometimes form the basis of a lifelong friendship. The roots of bingo can be traced back to Italy where it originated in the early 1500s. It basically requires the players to complete a pattern based on the numbers that are randomly drawn out by a caller. The person who is able to complete the pattern first is declared the winner. The game also has exciting jackpot prizes that make it even more interesting. Bingo in Texas has become even more exhilarating nowadays with the advent of its electronic version. Big screens are installed inside the bingo halls that display wonderful graphics. This is something that pulls more crowds to the bingo halls. Bingo does not only have the fun element but it also helps in contributing something for the society. Texas Charity Bingo halls regularly organize charity bingo events that help to generate funds for the needy. All the money acquired through the sale of tickets is given away to charity. A legalized process is followed for the collection of money so as to ensure that there is no misuse of the funds. Apart from the above mentioned positive aspects, bingo also offers many health benefits. It helps in stimulating the brain and increases its agility. 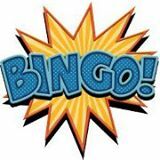 Various studies have revealed that bingo can augment the efficiency of the brain and also improve mental health. Bingo helps to avert depressive feelings and makes a person feel happy. The spirit of competition that prevails in the bingo halls is amazing and everyone plays with full attention to win cash prizes. All the players forget their worries and enjoy their leisure time without any sort of stress or tension. The huge cash prizes are lucrative enough for many people to go to the bingo halls and try their hand at this entertaining game. In the busy and hectic lifestyle that we lead these days, bingo comes as a whiff of fresh air. As mentioned above, it gives you a chance to spend quality time with your loved ones. You also get to gain the health benefits that bingo has to offer. Therefore, it is a complete package and an optimum way to enjoy the weekend.